More GIS data (e.g. parcels, roads) available at: County of San Mateo GIS Data Download Page. Projects being done by private developers and builders, and include residential, commercial, mixed-use, and other types of construction. 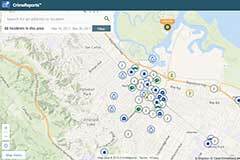 Projects that Redwood City or its contractors are performing in support of our City’s infrastructure, including sewer, water, streets, parks, storm drains, and more. Enter your text and options below and then click on the map to add the text. Currently only one export is available. Save your location and layers. You will get a unique link to bookmark or email. 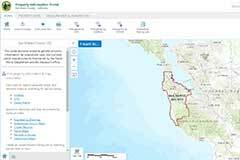 The City of Redwood City is providing Geographic Information Systems (GIS) information and access to geographic and land information. The information provided to you is for reference purposes only and is not intended to be suitable for legal, engineering, or surveying purposes. The City makes reasonable effort to produce and publish current and accurate maps and information. The City makes no warranty, expressed or implied; representation; or guarantee as to the content, sequence, accuracy, timeliness, or completeness of the data provided. You are receiving this information "as is" and the City explicitly disclaims any representations and warranties, including, without limitation, the implied warranties of merchantability and fitness for a particular purpose. The City shall assume no liability for any errors, omissions, or inaccuracies in the information provided regardless of their cause. 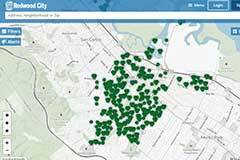 The City shall assume no liability for any decisions made or actions taken or not taken by the user of this GIS application in reliance upon any information or data furnished hereunder. The use of this GIS information indicates your unconditional acceptance of the above disclaimer.